Heroin and Opioid Prevention - Ardent Solutions, Inc. Welcome to the Allegany County Heroin and Opioid Ad-Hoc Committee webpage. The abuse of and addiction to opioids such as heroin, morphine, and prescription pain relievers is a serious problem that does not discriminate and negatively impacts rural, suburban and urban communities’ health, social, and economic well being. Recognizing that addiction impacts not only those who are currently using, but also affects individuals in recovery, family members, friends, and our community at-large; the Allegany County Legislator, Ardent Solutions, Inc., health and human service organizations, schools, faith-based organizations, law enforcement, and community members are partnering to learn more about the problem and address it at a local level. Join us in these efforts today! Our Mission: The Allegany County Heroin and Opioid Abuse Advisory Committee is an appointed ad-hoc legislative body that strives to influence, support and secure resources for communities, organizations, and individuals impacted by addiction. Our purpose is to ensure that appropriate prevention, treatment, and recovery assets are available to all Allegany County residents while advancing policy and enforcement efforts at the local, state and federal level. Is your organization interested in learning more about the heroin and opioid crisis in Allegany County? Request members of the Voices of Allegany County Speakers Bureau to visit your school, business, faith community, or community organization. Click Here! Interested in sharing your story? Heroin and opioid abuse impacts families, professionals, and individuals across all walks of life. Your decision to share may help others struggling with their addiction or that of a loved-one. Call Helen Evans at 585-593-5223, ext. 1011 to learn more. Meetings available throughout Allegany County and surrounding communities. For a full list of AA meetings, Click Here! Meetings available throughout Allegany County and surrounding communities. For a full list of NA meetings Click Here! Need treatment? Search the New York State Treatment Availability Dashboard for state certified outpatient and inpatient programs. Download the 2016-2017 A Plan to Combat the Opioid and Heroin Crisis in Allegany County Report to learn about the current state of the problem and potential solutions. Download Allegany County's Heroin and Opioid Strategic Plan to learn more. 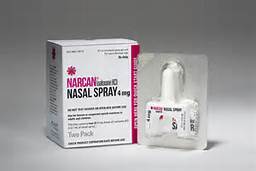 Learn how to recognize and respond to an opioid overdose and administer Narcan. Free Narcan kits available to those who attend. Help eliminate prescription medications from our streets by participating in the Allegany County Drug Take Back Program. Sponsored by Partners for Prevention in Allegany County and the Allegany County Sheriff's Office, the Drug Take Back Program provides safe ways to clean out medicine cabinets of unwanted and expired medications. For a list of Pill Drop Box locations Click Here!